Have you ever been to Amsterdam? If you haven’t, it’s a city you should seriously consider. 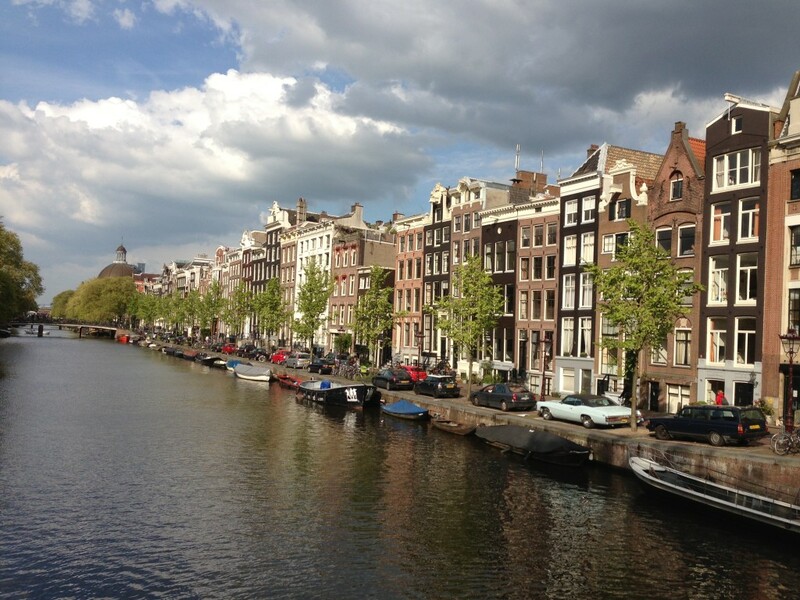 It has it all – beautiful canals, cobblestoned streets, interesting architecture, tons of bikes, and friendly people. And of course, Amsterdam has great food. Oh, and yep, it has that other stuff too. 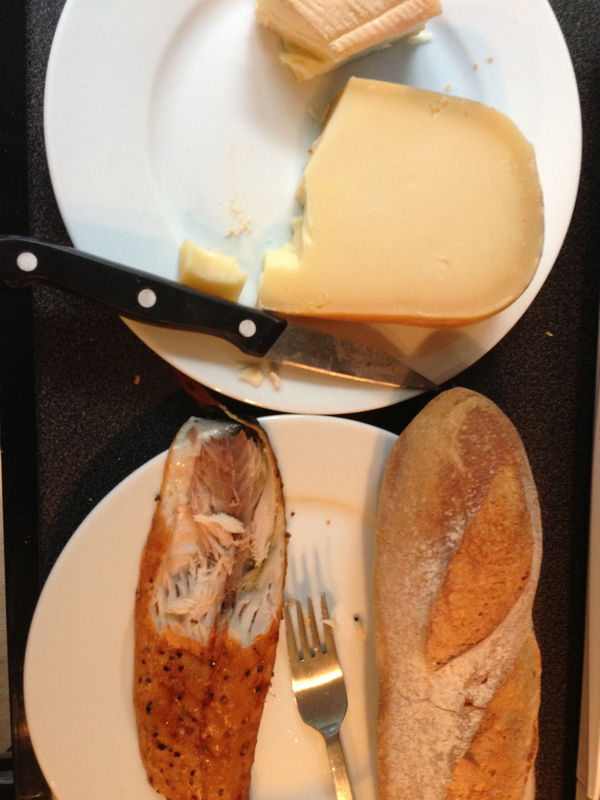 My favorite things to eat after an afternoon of roaming the streets are local cheese – usually Edam or Gouda, a nice fresh bread, and some smoked fish like mackerel, all accompanied by some deep, rich red wine. 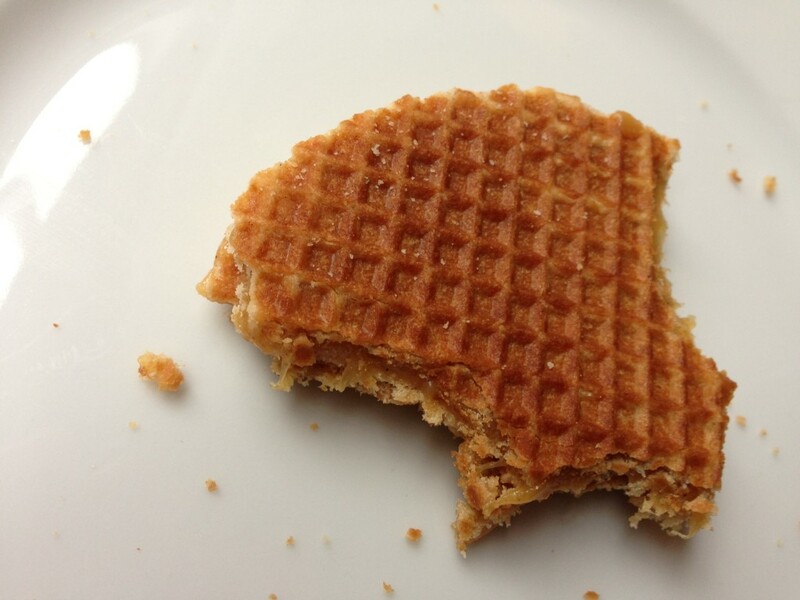 My number one sweet to top off all that pre-dinner, late afternoon deliciousness is a crunchy, yet chewy-centered Stroopwafel or syrup waffle. These incredible gems are slightly crisp, waffle like cookies, with a sticky syrup in the middle – kind of like a caramel. They have just the right ratio of sweet, chewy and crispy. 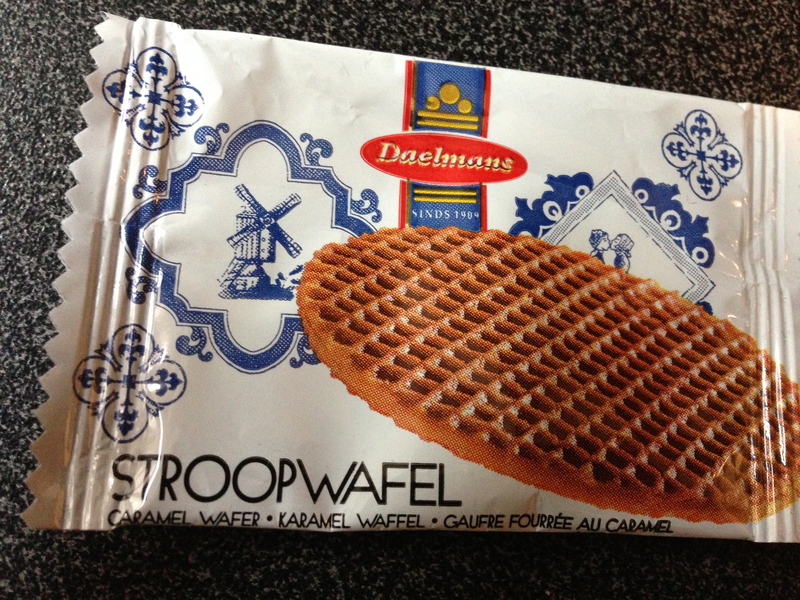 Stroopwafels might be one of my favorite desserts. Ever. I mean it – especially if they’ve come from a specialty shop – like a chocolate maker or a bakery. 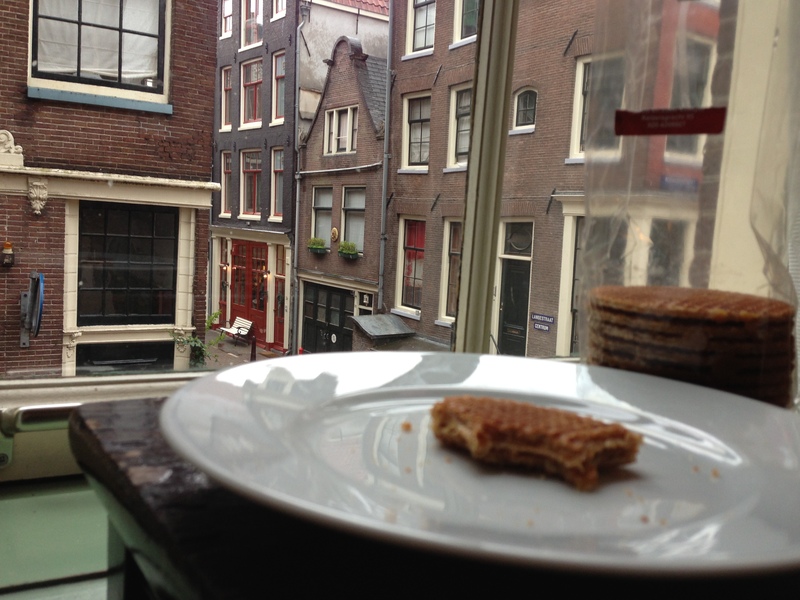 This morning, I ordered a cappuccino at a coffee shop and it came with a pre-wrapped, mini stroopwafel. It wasn’t gormet, but it still had the same qualities – slightly crisp with a syrupy but chewy middle. This afternoon, while looking up stroopwafels I discovered I was supposed to put the mini cookie on top of my cappuccino so that the gooey center could melt and the underside of the waffle could get soggy. I prefer mine just like they are though – crisp yet chewy. 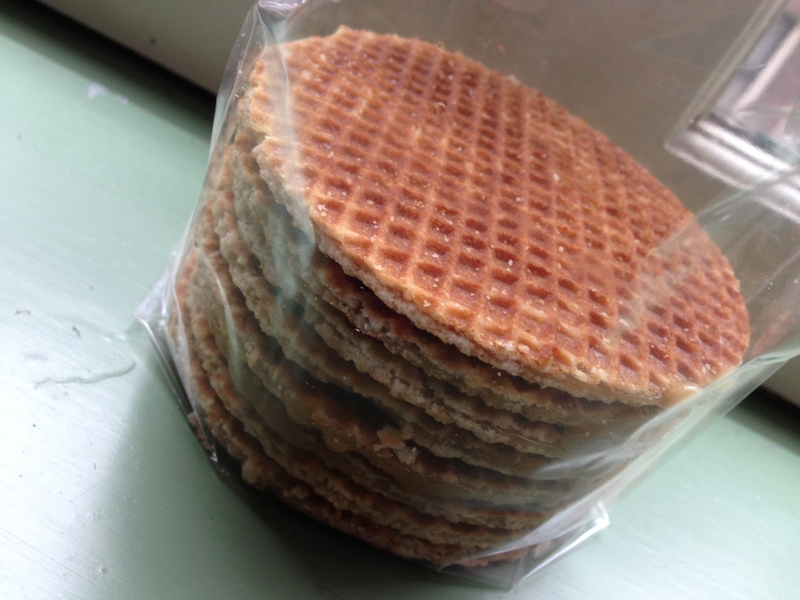 Stroopwafels originated in Gouda, the Netherlands in the early 1800’s, and were made using left over breadcrumbs sweetened with syrup. More recently they’re made from a combination of flour, butter, brown sugar, yeast, milk, and eggs. I might have to bake some when I get back to the United States, but in the meantime, I’ll eat as many as I can in the Amsterdam late afternoons. 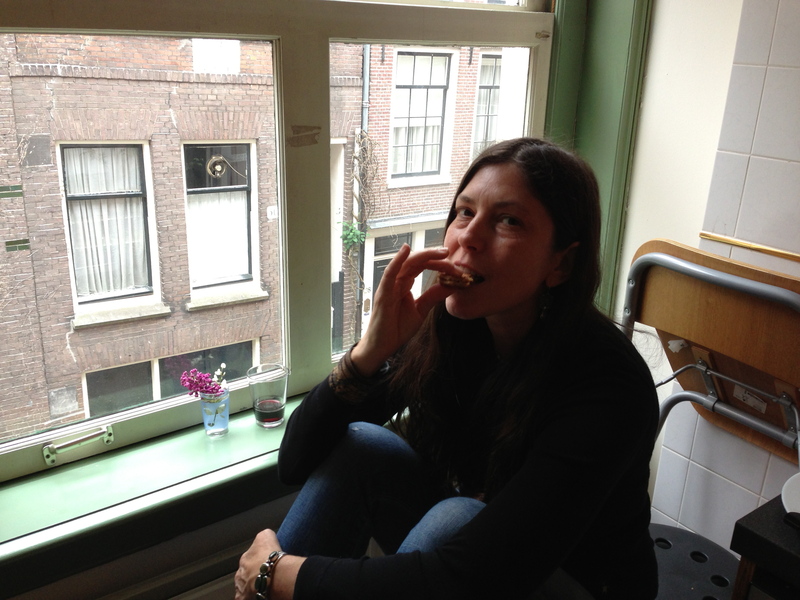 Eating a stroopwafel in my Amsterdam kitchen. This entry was posted in Exploring, Uncategorized, waffles and tagged Amsterdam, Cheese, Cookies, Dessert, Mackerel, The Netherlands, Travel, Waffles. Bookmark the permalink. Yum! The wafflesl look delicious. I hope you do make some in the US of A. Enjoy!